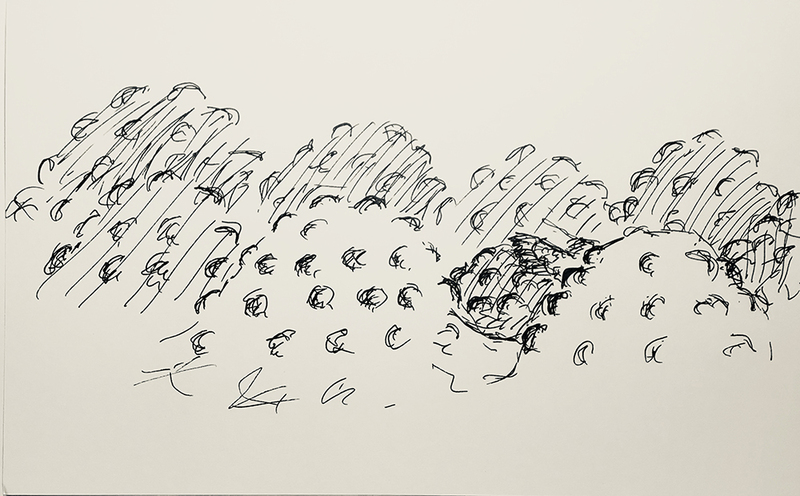 In one part of my dream last night, the landscape was dominated by very large, mounds. They reminded me of overturned ceramic tea strainer inserts, but in place of holes there were bumps. The surface had a matt, metallic finish, like raku. I climbed atop one, and then I noticed huge military tanks getting ready to roll to the top of each. I had to scramble down in a hurry. This entry was posted in Personal Stories and tagged artistic process, creativity, drawing, dream, dream image, imagination, memory, pen and ink, sketch, visual art. Bookmark the permalink.